If your essential oils situation is getting bit out of hand, this 25 bottle Aromatherapy Storage Box is all you need. 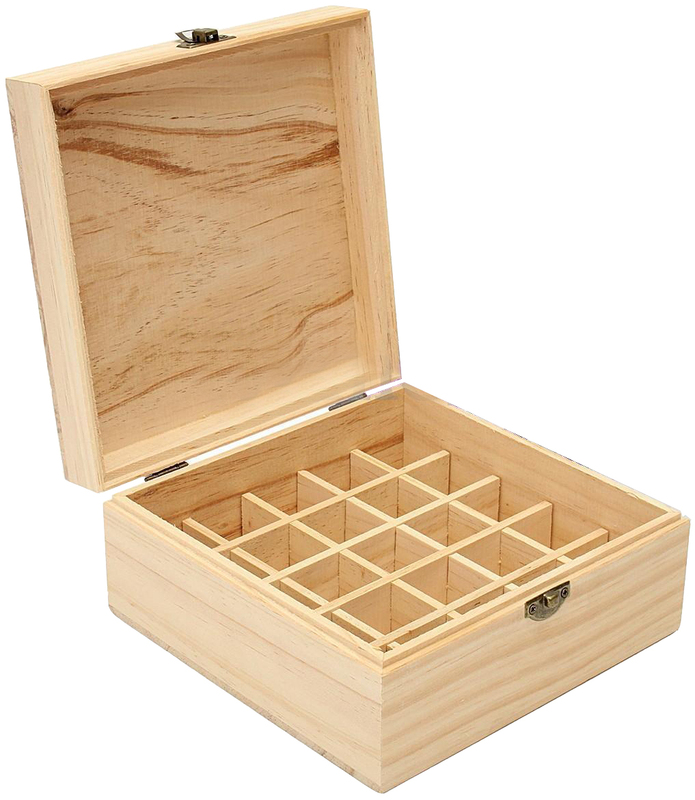 One level of 25 essential oil storage compartments let you store your whole essential oils collection, but you can also remove the grids to make more room and space for other essential oils and aromatherapy accessories. A catch that seals the lid secure make it a perfect choice when you're on the go ensuring all your aromatherapy oils and products are safe and secure. And it's finished in a stylish modern natural pine wood as well!